If you're an experienced Java developer and want to implement more effective methods of programming systems and applications, then this book is for you. Test-driven development (TDD) is a development approach that relies on a test-first procedure that emphasises writing a test before writing the necessary code, and then refactoring the code to optimize it. You'll be guided through setting up tools, frameworks, and the environment you need, and will dive right in to hands-on exercises with the goal of mastering one practice, tool, or framework at a time. You'll learn about the Red-Green-Refactor procedure, how to write unit tests, and how to use them as executable documentation. With this book you'll also discover how to design simple and easily maintainable code, work with mocks, utilise behaviour-driven development, refactor old legacy code, and release a half-finished feature to production with feature toggles. An easy-to-follow, hands-on guide to building applications through effective coding practices. 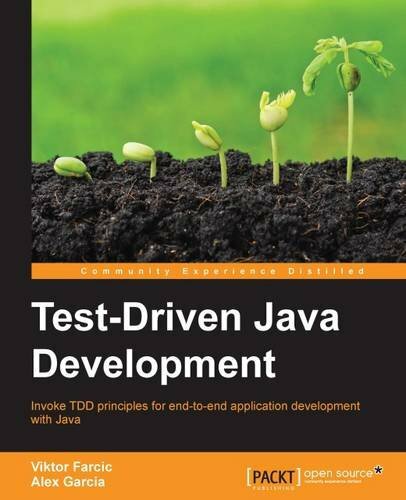 This book covers practical examples by introducing different problems, each one designed as a learning exercise to help you understand each aspect of TDD.